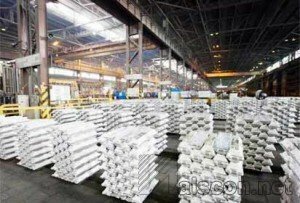 Expatriate management team of the Russian company, UC RUSAL, currently operating the Aluminum Smelter Company of Nigeria, ALSCON, were reported to have fled the multi-billion naira plant, leaving behind, an army of aggrieved indigenous workers who had earlier taken the company to an industrial court in Calabar over unpaid salary arrears. This was confirmed to Nigerian Pilot during a telephone interview with the Chairman, Steel and Engineering Workers’ Union of Nigeria, ALSCON chapter, Comrade Sunny James. James corroborated report from the Mboho community under the leadership of Obong Amete Ntak, which alleged that the Russians are fleeing because of the possible consequences of their acts of stripping the assets of the company in a manner that smacks of fraud and deliberate attempt to destroy the plants. Lagos — Tower Aluminium will soon be celebrating 60 years of serving Nigerian population with pots and pans, long-span roofing and aluminium extruded profiles used for doors and windows frames. In the last few years, Tower has found it difficult to compete with imported Chinese aluminium coils, which are used for production of long-span roofing and aluminium profiles or extrusions normally used for production of doors and windows frames. In this interview, the Group Managing Director of Tower Aluminum, Chief (Dr.) Jinesh Chandra Dugad, who had in February 2013 cried out to the federal government over the challenges threatening continued production at the nation's aluminum giant, iterates that the local aluminium production sector might just go the sorry way of the local textiles and tyre manufacturing production sectors if the federal government doesn't quickly formulate and sincerely implement the vital policies to save it. Last year, you addressed a press conference lamenting the challenges facing the aluminum sector, especially the Tower Aluminum Company that is the only surviving aluminum coils manufacturing company in the country. One year after, has there been any policy change to ameliorate the problem? While some serious work has been put in place by the Manufacturers Association of Nigeria (MAN) and the Minister of Industry, Trade & Investment, work which has recognised the need to protect the aluminium sector, there has been no firm action so far to protect the producers of aluminium coils and aluminium profiles against unfair competition mainly from China. Since last February when we met, there has not been any policy change. As we understood, the Common Economic Tariff (CET) of the Economic Community of West Africa States (ECOWAS) which was to expire in December 2013 was being reviewed and there could be revision of duty. It is already 2014 and the ECOWAS-CET duty structure has now been extended and will be revised in January 2015. ABUJA—Accusations of asset stripping at the Aluminium Smelter Company of Nigeria re-echoed, yesterday, following the discovery of a 50,000-litre oil tank belonging to the company in nearby Ibom Power Company, which is owned by Akwa Ibom State Government. The report is coming barely a month after BFIG, the American firm that the court vested the ownership of the company with, cried out that the Russian firm, RUSAL, that was still laying claims to ownership after being sacked by the Supreme Court, was actively looting the assets of the firm, with a view to stifling the reopening of the plant by the real owners. Although RUSAL laid off many of its workers and shut the plants early this year, on the grounds that it did not have steady gas supply, coupled with the uncertainty over the ownership, it had, nonetheless, continued to play with the assets of the firm. BFIG has already returned to the Supreme Court pleading the apex court to compel the Bureau for Public Enterprise, BPE, on whose back RUSAL rode to the occupation of te premises of the firm, to comply with the order dismissing it from the plant. Uyo — Sundry allegations of improprieties against Rusal, embattled managers of the Aluminium Smelter Company of Nigeria, Ikot Abasi, and self-praise responses from its management seem to be the only products at installed capacity at the company whose ownership and hitch-free operation remain dogged by protracted litigation. Amid allegations of asset-stripping by some groups of the Aluminium Smelter Company of Nigeria (ALSCON), Ikot Abasi, Akwa Ibom State on one hand, and strident denial by its managers on the other, the Supreme Court will next month, once again, decide who should own the troubled aluminium plant. At war over ALSCON's ownership are its current managers, the Russian company, AC Rusal and BFIG, an American company, which a judgment of the Supreme Court in July last year favoured to have won the bid to buy ALSCON. On June 14, 2004, the BFIG Group won the bid to buy ALSCON from the Bureau of Public Enterprise, government's privatisation agency. But the bid was controversially cancelled and management of the plant handed over to Rusal. BFIG has since been in court to gain controlling ownership and management of ALSCON. Enforcement of the apex court's judgment has undergone curious twists and turns, with Rusal digging in, the BPE finally cancelling in January this year BFIG's successful bid, and the BFIG crying conspiracy and once again relying on the Supreme Court to reclaim what it affirms is legitimately its property through its victorious bid process and the apex court's decision last year.